A debt-to-income ratio, or DTI, is how a lender determines how much a borrower can afford to pay every month. By dividing the borrower's monthly liabilities by monthly income before taxes, the lender arrives at a percentage. To qualify for the mortgage, borrowers usually need to fall below certain thresholds. Typically, lenders don't want the monthly house payment to exceed 28 percent of income, and don't want all debt payments (house, auto, credit cards, student loan) to exceed 36 percent of income. Thresholds can vary by lender. An LTV, or loan-to-value, is one of the key ratios that lenders use to assess the risk of a loan. 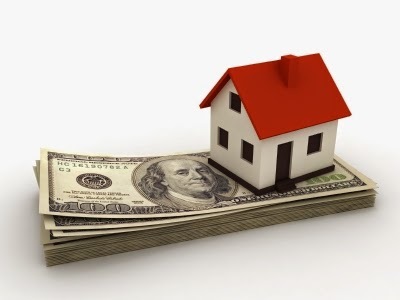 The ratio is the mortgage divided by the purchase price or appraised value of the property. When a property has multiple mortgages, lenders use a combined loan-to-value ratio, or CLTV. Borrowers with an LTV or CLTV of less than 80 percent often get lower interest rates because lenders view them as less risky. The Real Estate Settlement Procedures Act, or RESPA, and the Truth in Lending Act, or TILA, are the two main pieces of federal legislation that govern mortgage lending to consumers. Among other things, RESPA requires lenders to provide borrowers with a GFE within three days of applying for a loan as well as the HUD-1 at or before closing. TILA requires lenders to provide borrowers with clear terms and costs of a loan. Private mortgage insurance, or PMI, is paid by the borrower to protect the lender's investment when the borrower makes a down payment of less than 20 percent on a home purchase, or when the borrower has less than 20 percent equity in a refinance. But don't let the name fool you. The borrower pays the premium and the lender gets the benefit in the event of default. On a loan insured by the Federal Housing Administration, the borrower pays a mortgage insurance premium, or MIP. An adjustable-rate mortgage, or ARM, is a home loan in which the interest rate can change based on movement in an agreed-upon index, such as the London Interbank Offered Rate, or Libor. Usually, ARMs start with lower rates than fixed loans. But there's always the risk that the borrower can eventually end up paying more than if he or she had secured a fixed rate. A home equity line of credit, or HELOC, allows homeowners to borrow cash against home equity. Unlike a second mortgage, borrowers can take what they need (up to the limit) and return for additional funds. The credit limit is often determined by the loan-to-value ratio. Often a HELOC will have a variable rate. When you apply for a home loan, the lender will want to verify what you said about your personal finances. While different lenders will require different levels of documentation, the process will typically involve some or all of the following forms: verification of rent, or VOR, verification of mortgage, or VOM, verification of deposit, or VOD, and verification of employment, or VOE. Each form will allow the lender to contact a party in the position to confirm some aspect of your finances. Borrowers usually are asked to provide Internal Revenue Service Form 4506-T, which allows the lenders to see transcripts of tax returns. Best understood as the bottom line on a monthly mortgage, PITI represents the sum total of principal, interest, taxes and insurance costs. It's the monthly house payment. Lenders divide PITI by the borrower's pretax monthly income to calculate DTI -- the debt-to-income ratio.